Before Christmas Harry would always have an afternoon nap in his room. It would result in a mad dash getting ready to collect Charles from school as I always had to wake him up, and he would be dazed and not really wanting to co-operate. Naps didn't happen at the weekend as he was too distracted with having Charles at home and it would really restrict us with what we could do in the daytime and where we could go. During the Christmas break I didn't bother with Harry's naps, mainly because Charles was home and I like them to have as much time together as possible. 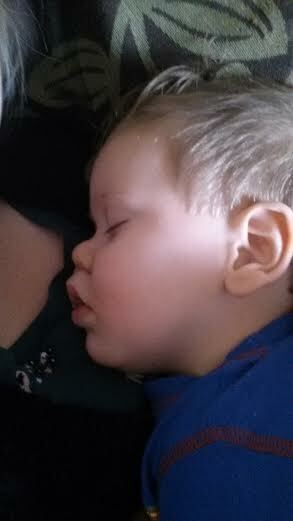 He also didn't seem too tired so I thought maybe it was time to stop his afternoon naps. I thought about maybe trying again with them once Charles had returned to school but it didn't seem like he was missing them so we didn't bother. 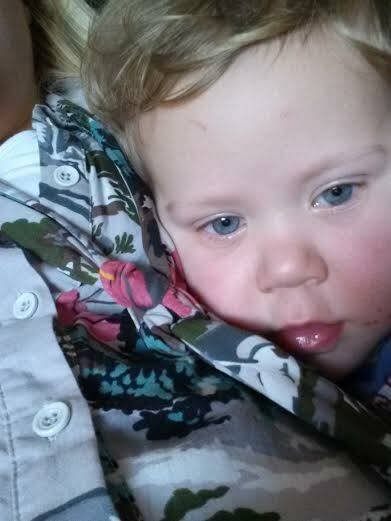 Then Scarlet Fever came along and he seemed so drained by it. Although it didn't affect him too much with the rash it certainly took a toll on his energy. As he looked so tired I decided to try with naps again, although I couldn't bring myself to put him in his room (yes, I am weak!) 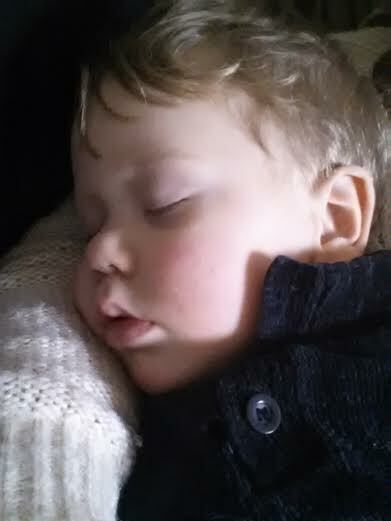 so I offered him a "nap on mummy". Everyday, after lunch, this has now become part of our routine. 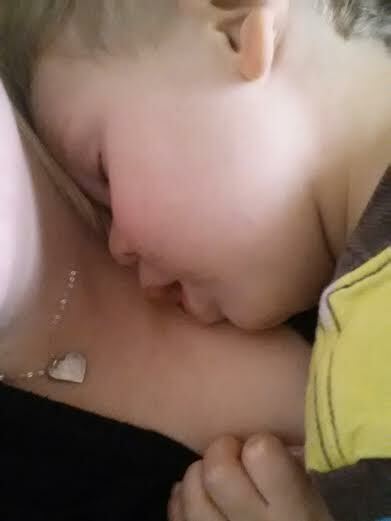 He lays with his head on my chest, listening to my heartbeat or with his head on my tummy listening to all the gurgles, I remember doing this when I was a child too. I'll stay there for around half an hour, or maybe an hour, with the television off so I can just listen to him breathe. It's really quite wonderful. After that time I'll attempt the "hug and roll" which so far has been successful! I have to force him to wake up for the school run, as I used to, and as a result we've almost been late a few times and have had to park further away but that means extra exercise for me so who's complaining?! I love that when he gets tired now he will come over and say "my sleep on mummy" and he orders me to go and sit on the sofa. 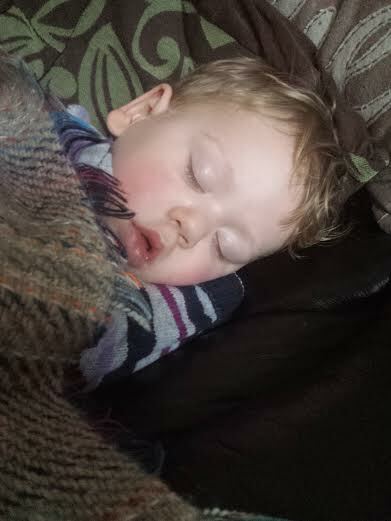 There's nothing like feeling your baby/toddler/child settle on you and drift to sleep, feeling their body heavy against yours and knowing they are definitely asleep. There's also nothing quite like having to grab a scarf to conceal the big patch of dribble your child has kindly left on your top.